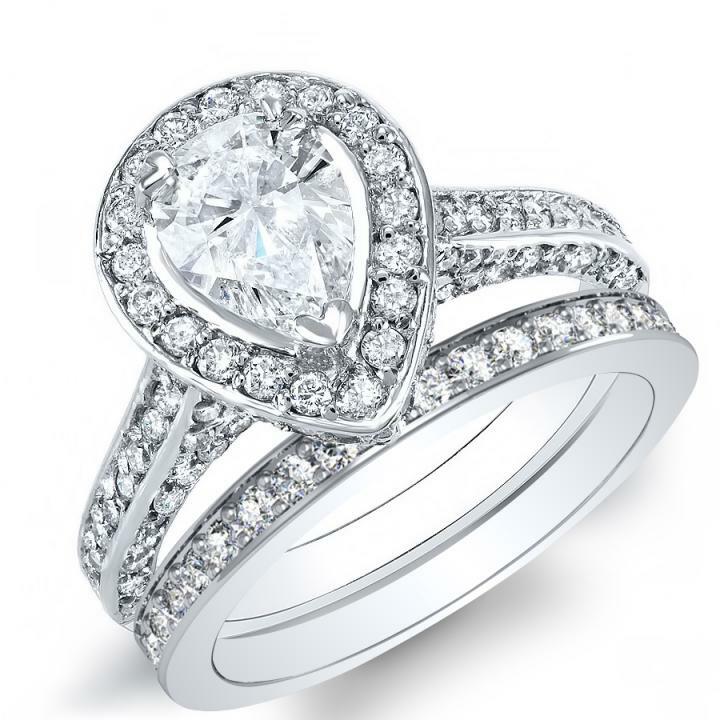 Shopping for the best halo engagement rings style for your special someone can be tricky, but DiamondMansion.com's incredible assortment of pristine settings and natural, untreated diamonds makes finding the perfect engagement ring easy! This ring includes a beautiful Pearcut center diamond, sparkles in this stylish engagement ring. 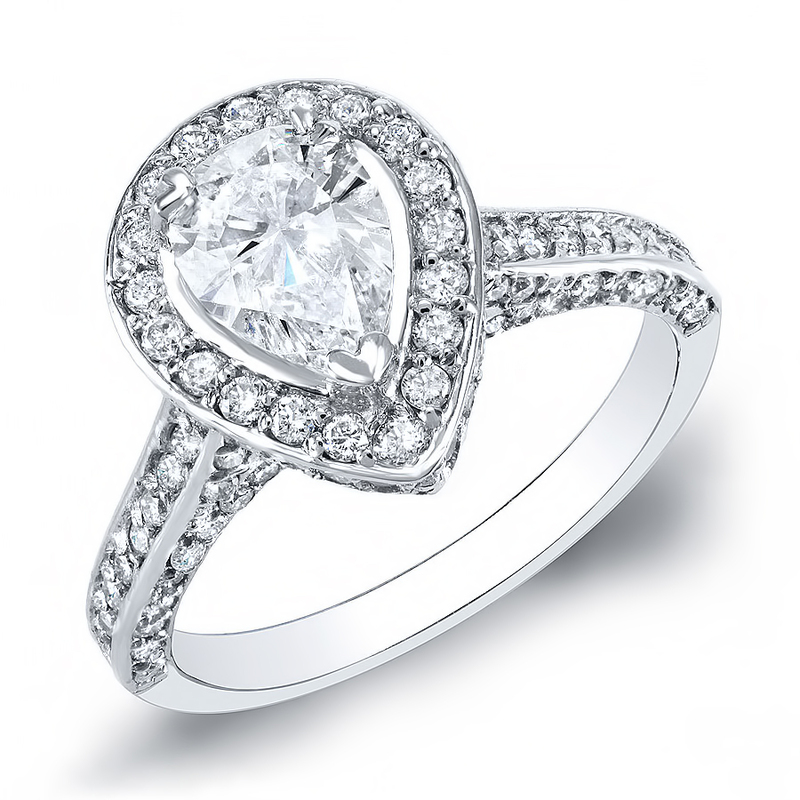 The gorgeous side profile pave setting make this ring impossible to miss!